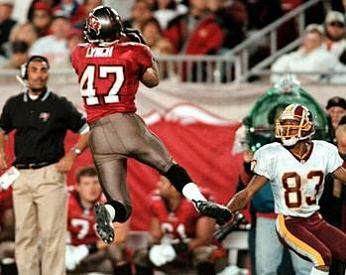 BUCS: Alstott 15-24, Dunn 11-18, King 1-2. 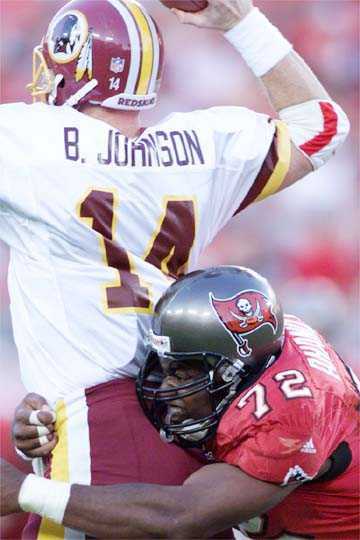 REDSKINS: Davis 17-37, Centers 1-7, Thrash 1-1, Mitchell 1-1, Hicks 1-0, Johnson 1-0, Westbrook 1-0. 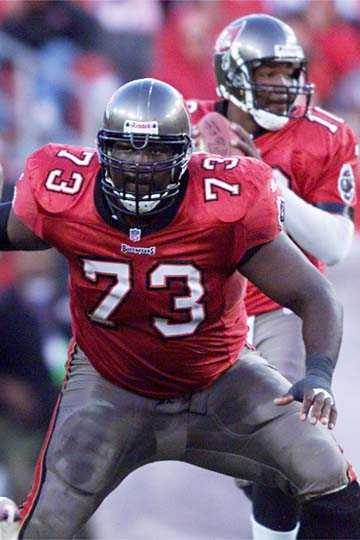 BUCS: Dunn 4-32, Alstott 3-17, Emanuel 2-47, Moore 2-32, Green 2-25, Williams 1-3, Davis 1-0. REDSKINS: Connell 4-59, Fryar 4-30, Davis 3-26, Centers 3-8, Hicks 2-17, Mitchell 2-1, Alexander 1-4, Westbrook 1-4. REDSKINS: Mitchell 1-100, Thrash 1-24, Sellers 1-1. BUCS: White 2-20, Young 1-10, Sapp 1-8. 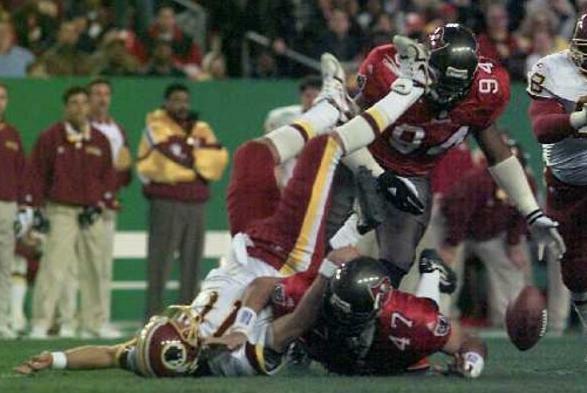 REDSKINS: Stubblefield 1-10, Barber 1-5. Down 13-0, getting late and how were we going to score? 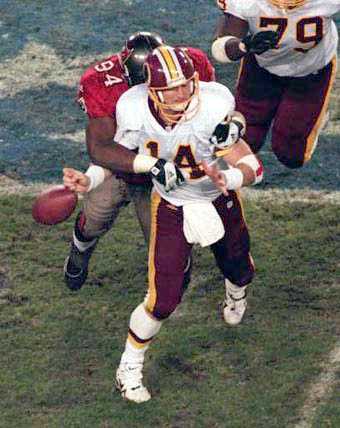 Then John Lynch came up with a huge interception, Shaun King led a drive that Mike Alstott finished off, and the momentum turned. The winning score came midway through the fourth quarter but the Redskins still had a chance on a FG attempt as time expired. Former Buc Dan Turk sent down a terrible snap and the kick never got away.